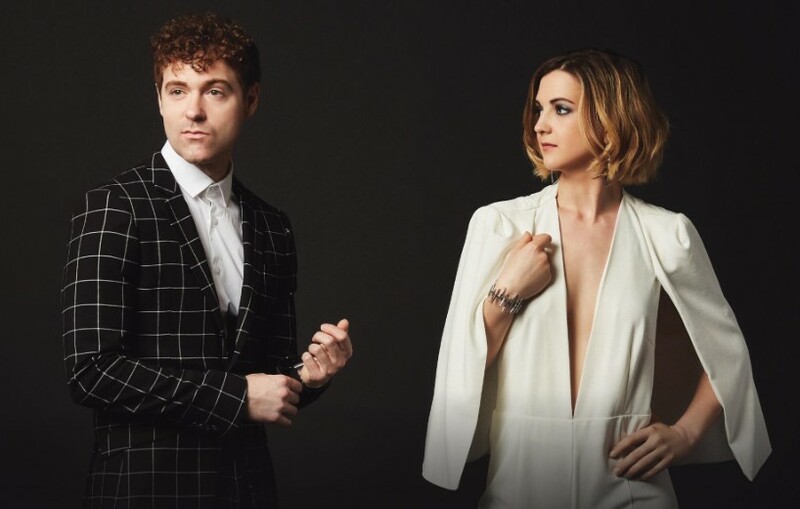 Striking Matches made their much anticipated return in June this year including their very first UK Festival Headline slot at the first ever Black Deer Festival. The guitar heavy vocal duo recently released their EP Shameless that takes them in a more electric guitar direction rather than the country style we are used to. 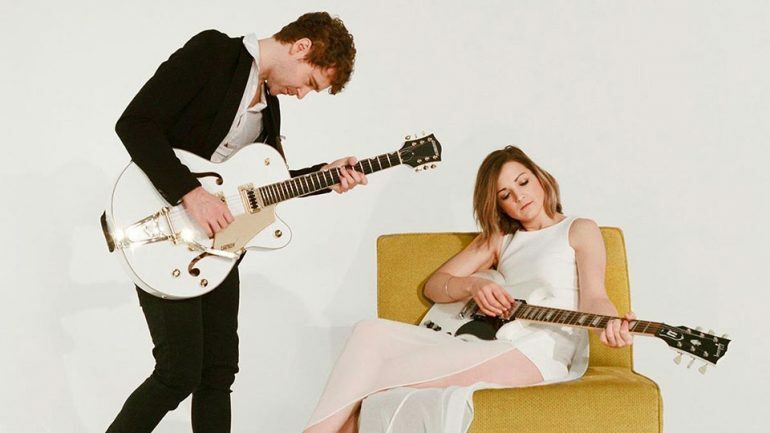 That is far from a bad thing though as Sarah and Justin who make up Striking Matches excel in their guitar skills and their musicianship on stage is absolutely phenomenal and that is one of many reasons we love them so much here in the UK. We caught up with Sarah Zimmerman and Justin Davis to discuss their new direction, what it means for their soon to be released new album and more. 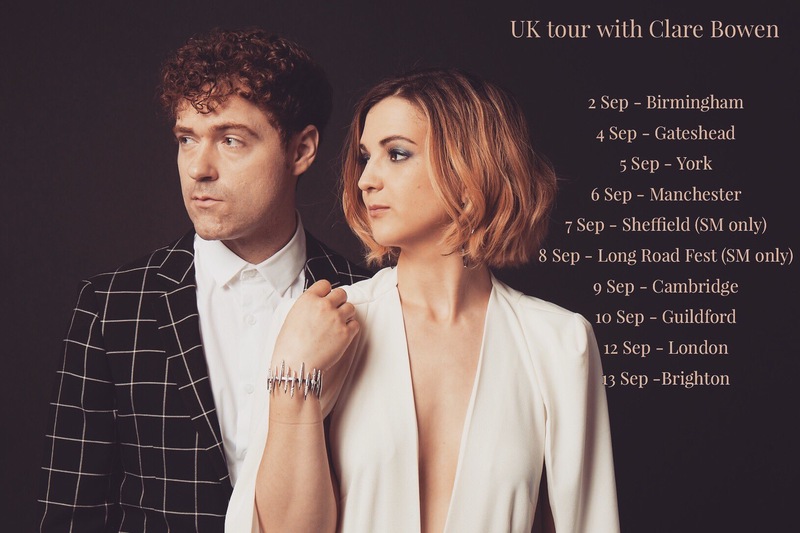 Striking Matches have also since announced a UK tour with CMT Nashville’s Clare Bowen in October as well as beimg part of The Long Road Festival. Welcome to Black Deer – you are headlining, that is exciting..
Sarah – Oh my gosh yes! I look forward to hearing some of the new music – speaking of which, tell us about the new EP Shameless as it has a slightly different sound to what we are used to from you – more electric, more rocky. Sarah – We really wanted to do something different – we were writing differently at the time. These two EP’s will go into a full length record later this year as these songs were written in the same time span in the most part. We are writing more from a guitar riff stand point so we were building a song around a guitar riff instead of writing it on acoustic guitars and retrofitting guitar parts to that – we wanted the guitar to be the first thing you hear. Justin – and also just pushing ourselves as writers and creators to experiment different sonic spacers than we had done with T Bone Burnett which was open and acoustic driven. We have changed as people and songwriters and wanted to explore this space and try this as artists. Hopefully it makes us able create different sounds as well as going back to our roots. Well you always kind of had elements of that style for example in Trouble Is As Trouble Does which is very guitar based. You mentioned that you base a song around a guitar riff – when writing a song do you have the mindset of what will translate well live? Sarah – Absolutely, yes. That was another inspiration for a lot of the new music. We had also been playing so many shows…. Justin – You feed off the energy of the crowd and that inspired us. I am glad you mentioned that because that live element inspires so much of our new direction. Tell us about your relationship with the UK fans and why you keep coming back because from the very first time you ever played here it was like BOOM and you guys just blew up and suddenly had a massive fanbase. Sarah – It has been amazing and that’s why we keep coming back. We feel the love here and have so much fun. Justin – We always want to show that we are grateful and that we’re paying attention to the fanbase over here by continuing to come back. UK will always be a priority for us. Tell us about performing When The Right One Comes Along and hearing it sung back by the UK fans for the first time, because you were very tearful Sarah. Sarah – That was the first time that we had played a song in a new city where everyone knew the words. It blew my mind and I was like “What? How many people know this?” And it was just very very special, I will never forget that. On your very first EP you had the song Tell Me So which is a favourite of mine. I have yet to see this live, will we ever get that on an album too as has been removed from Itunes. Justin – and we haven’t talked about that at all but just as you bring it up it’s one of the most requested songs that people want to find because when we took that EP down it was gone, you couldn’t buy it. If you had a physical copy then that was all you had. I feel like we are going to do something with that song coming up. It will make its way back into the world. Sarah, I read an article that your favourite, Percy Pigs from Marks and Sparks may be banned? Best get a truck full now. Sarah – I have to stock up now, my gosh. So Striking Matches formed when you met at Uni is that right? Justin – So we were the first friend that we had in Nashville and we started jamming and the more we did it, the more we wanted to do it, the more it became a thing. If you could tour or jam with any UK artist who would it be? Justin – Yeah he and James Bay would be a lot of fun because I have seen him (James Bay) play guitar a little bit. I want to see how good of a guitar player Ed Sheeran is. He is so immensely talented with building loops and that takes a degree of musicanship, it’s very impressive. Thank you so good to see you again.